My name is Kevin Kishida and I was born on the island of Oahu. Allow me to tell you a little bit about my lifestyle prior to my exposure and learning from these 2 masters in their craft. My diet and lifestyle consisted of a typical breakfast being eggs/sausages and white rice and plate lunches or meat and starch for lunch and dinner. Can't forget up to 5 sodas a day, water was a rare liquid in my diet. At or around the 6th grade I regularly smoked pot and by the time I passed 8th grade I tried just about every other drug and drank alcohol regularly. For about 13 years I struggled with drugs and alcohol, feeling angry, hopelessness, inadequate, hate, frequent injuries, becoming sick often, tiredness and much more. At the age of 22 my life changed with the news I was going to be a father. With this came a flood of emotions and the realization that I was going to be responsible for a life to care for. 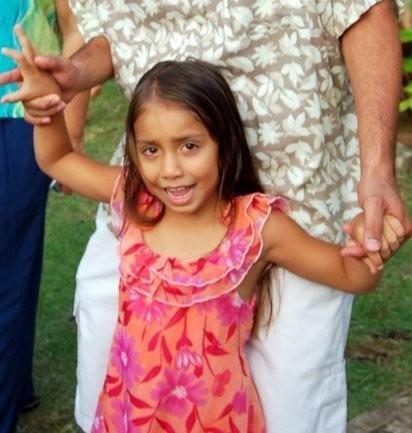 My daughter Hoku,shown with me in the photo to the left, helped me to see there needed to be a change in my life. This is when my journey to a more natural life started moving forward. Our midwife named Ward was a man with great spirit. He was from Holland and came from a family of midwives and experienced over 5,000 births. Ward gave us literature to read like "How to Raise a Healthy Child in Spite of Your Doctor " by Robert S. MD Mendelsohn that got my wheels turning into looking at a different way of living. While pregnant Hoku's mother ate healthy and exercised often. We sought a more naturopathic birthing process. Hoku was born with a full set of hair, out in a back porch. No drugs, just in a birthing tub. A mother of two that witnessed the birth said "Hoku was the most alert new born baby she every seen". We decided not to have her vaccinated and raised her on a healthy diet. We noticed Hoku did not get as sick as most kids around us did. She improved physically, mentally and spiritually then most kids. When Hoku was about 2, I starting taking La'au Lapa'au classes from Levon Ohai's apprentice Uala. My passion for Holistic healing, growth and balance became alive. 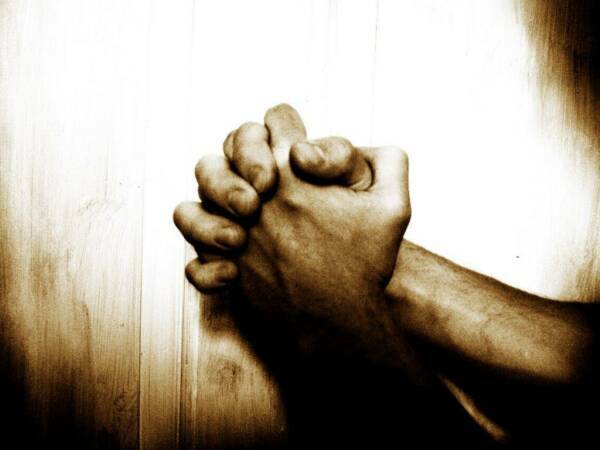 The first and most useful/life changing tool I learned was the power of pule or prayer. Within 3 months I developed a relationship with Akua or God. I stopped drinking and the hard drugs. I did cleanses and changed my diet. My old lifestyle went out the door and in came the blessings of Akua. The pain that I accumulated from over the years went away(Old football injuries, back and shoulder pain from a car accident). I started to feel incredible with the biggest blessing - the peace in my being. My mind became clearer, my heart softer and my spirit brighter. Physically and mentally I was able to take on more and more. I studied under Levon Ohai for eight years and this has transformed me to become a practicing La'au Lapa'au Practitioner today. I still reference all of his teachings and will continue to do so. His wisdom and knowledge that he shared with many remains a humbling and continued practice in my life today. I have been blessed to share this knowledge for over 12 years and hope that my experience will help you understand my passion for this learning and cultural practice. February of 2011 I entered a massage program at Windward Therapeutic Massage. This is where I learned deep tissue and clinical massage and received my Massage Therapy License. March of the same year I studied under Kahuna Alva Andrews in Lomilomi. Went to Kahuna Alva to learn what I thought was something called Lomilomi, instead I learned everything. 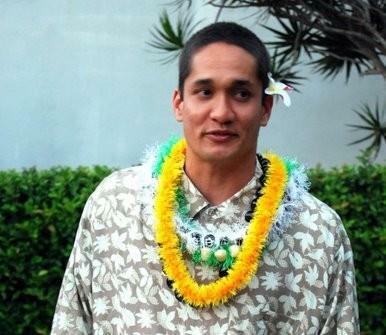 Kahuna Alva taught me how and what it means to be Hawaiian. I have a degree in Interdisciplinary Studies, Holistic Healing from UH Manoa and I am a Certified in using the Spectra Vision. Have a license in massage and a certificate for Lomilomi with Pa Ola Hawaii.